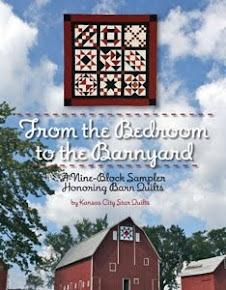 Home of Suzi Parron, author with Donna Sue Groves of 'Barn Quilts and the American Quilt Trail Movement" and author of "Following the Barn Quilt Trail." We arrived in Peru, Indiana late in the evening, after zig-zagging down lots of 2-lane roads through tiny towns and between corn fields. Peru is a lovely town, but there isn't an interstate that takes you there from Ohio! We were warmly greeted by Jayne and Keith Kesler, whose guest house we had been offered for a couple of days. 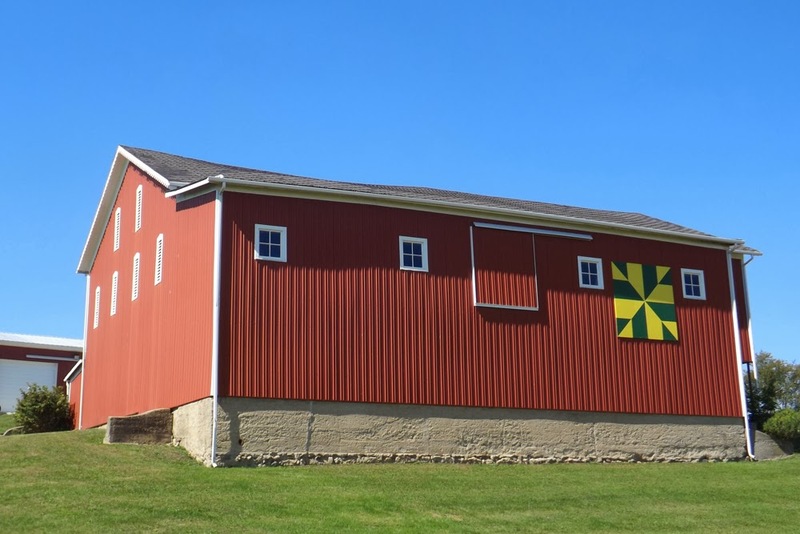 Jayne took up the barn quilt trail and helped expand it from the already extensive trail created by Nancy Sarver and several other women. We couldn't see much of our new home away from home until the next day. It was just as lovely inside as out! 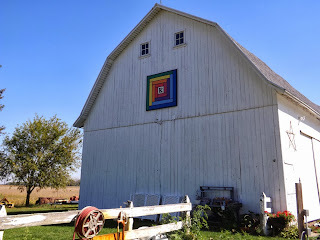 The next morning, Jayne and I set out on a tour of the south end of the county, where we saw dozens of barn quilts and only got lost a few times. . This Log Cabin was a favorite. Some might argue that the Spools quilt block here should be larger, and I can't completely disagree. Most of the blocks on this trail are 4-by-4 feet, rather than the traditional 8-by-8. But that said, this barn is so fabulous that I couldn't complain. 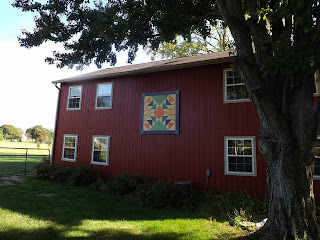 Jayne and I stopped to see a couple of quilts on homes in town. As we stepped onto the sidewalk, I was so excited--"Look! 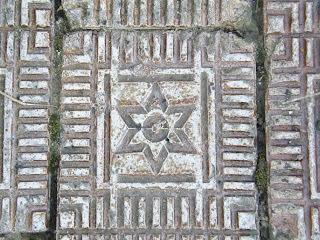 Star Bricks!" 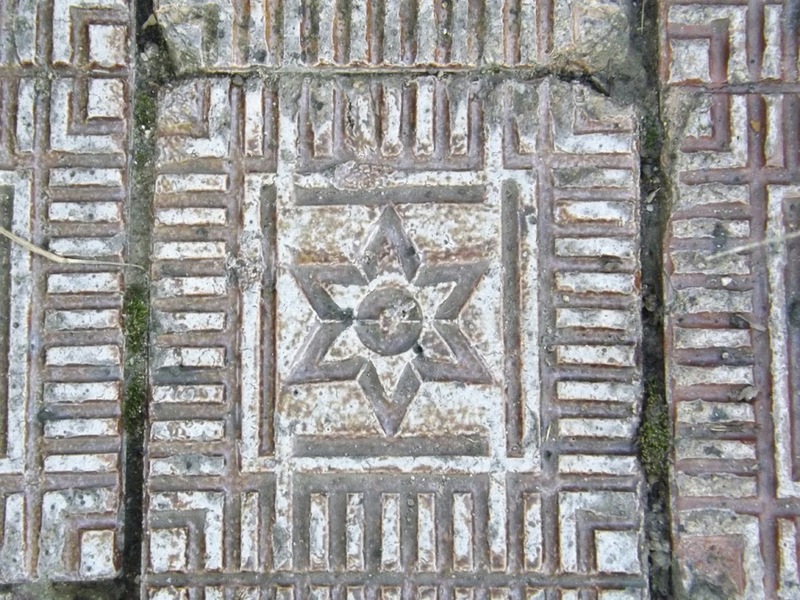 The sidewalk was paved with these bricks, which I had heard about but never seen. 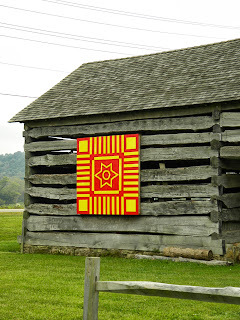 When touring the Athens County, OH, quilt trail in 2009, I saw this artist-designed barn quilt and was fold that it was a replica of the bricks that had been manufactured in the Hocking Valley in the 19th Century. I have to think that these bricks originated there. After lunch, Jayne and I headed over to meet Barb, Nancy Sarver's daughter, who took us on a tour of the original quilt trail that her mom started. 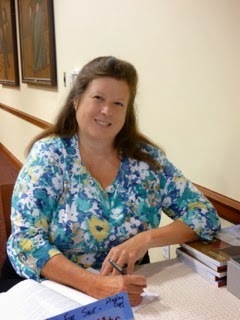 Nancy was out of town, but I know that when we talk, she will have loads of great stories to share! Barb proudly took us to her parents' farm, where "End of Day" graces the barn. I have had some folks ask why I include barns with siding--let's face it; they are not as charming as wooden barns. 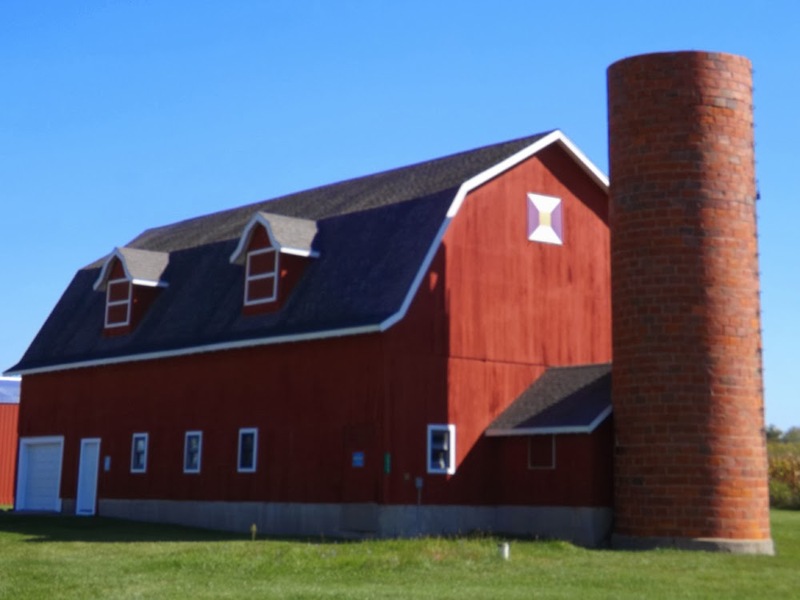 But under that siding is an historic barn, lovingly (and expensively) preserved, and I have to admire that. By the way, you just might be able to discern what kind of tractor Dad favors. 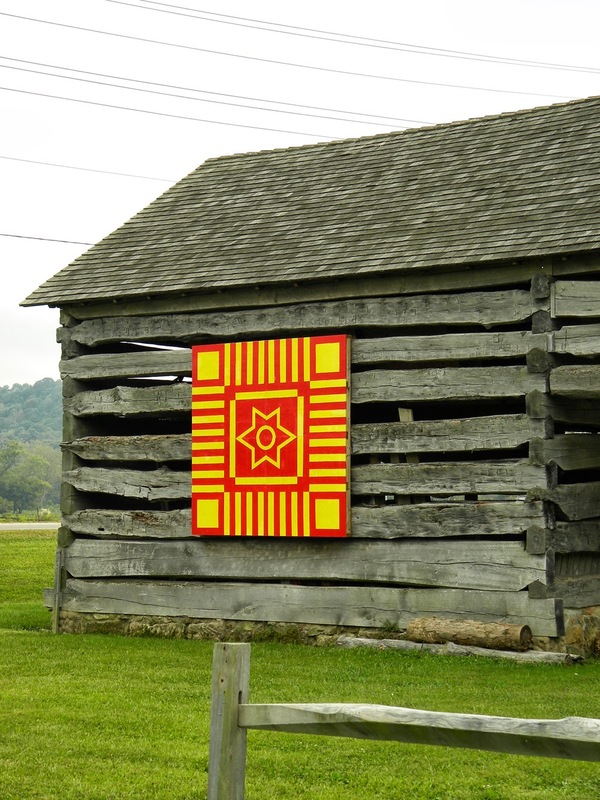 Green and Yellow are a popular combination in barn quilt world, and it's not just corn and beans! 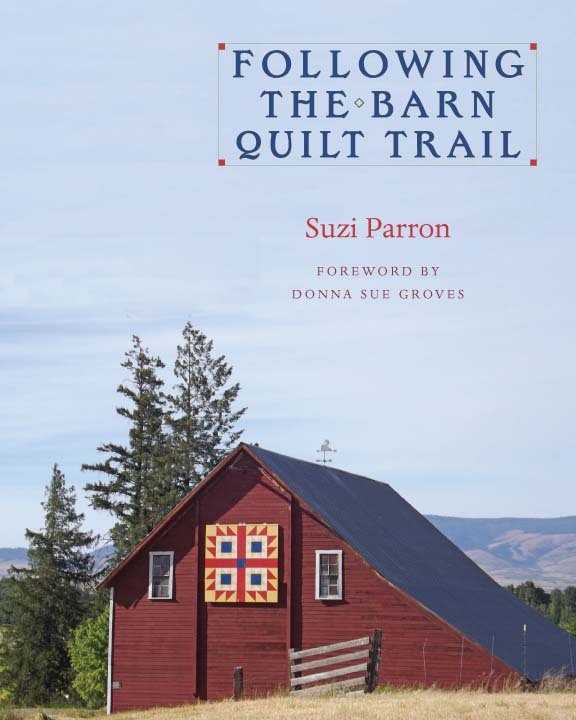 I gave a talk that evening at the local museum--I am having so much fun speaking about barn quilts--and signing those books, of course. 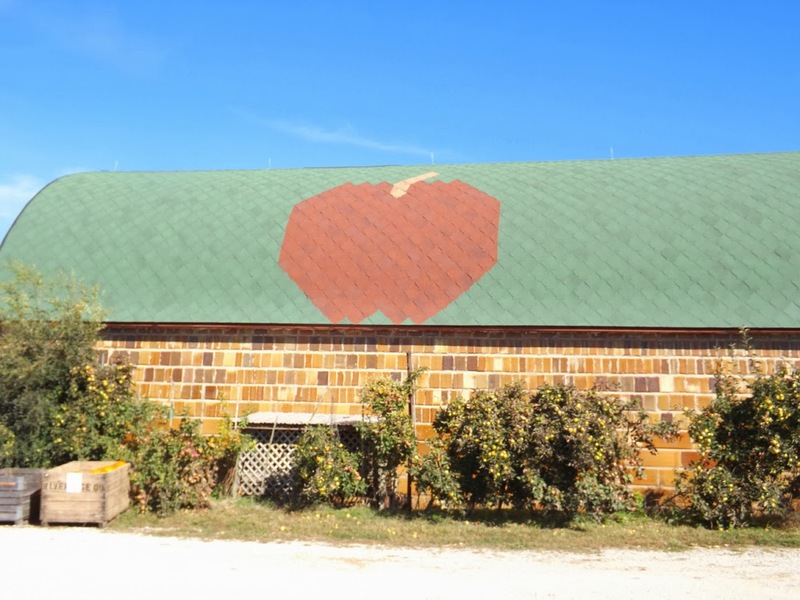 The next day, Jayne and I visited an apple orchard that has a barn quilt on the front--and this very cool apple in its roof tiles. I learned a lot about apples and orchards--glad to have something new to write about. 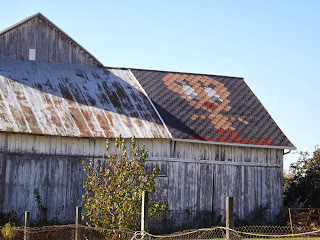 I have been seeing a lot of these barn roofs lately in my travels--usually an animal or the name of the owners. Here is a first--Tweety Bird! Glen and I expected to move on--which means back to a motel, as our poor coach, Ruby, still isn't fixed. But Jayne insisted that we stay as long as we would like. Whew! What a wonderful break from the grind. We also had a chance to play tourist at the Grissom Air Force Museum nearby. 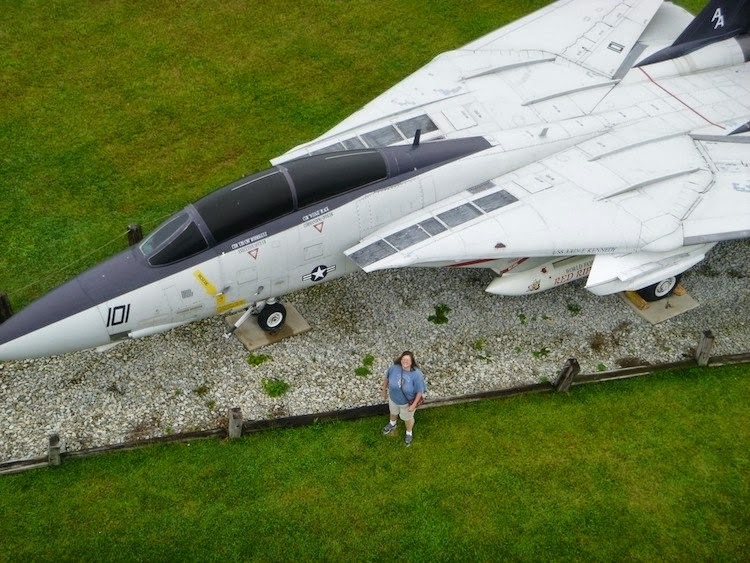 That's me, as seen from W-AAAY up in the tower. That's the view from here. We have fingers (and toes) crossed that we will be back in the bus on Friday. Stay tuned! J'adore tout ce que je vois sur votre blog car j'adore les USA !!! Cccam Server the easiest for a first time blogger? I'm thinking of starting with word press, you think that's what I should do? Thank you. 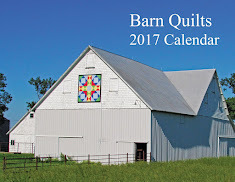 Click on the calendar to order--or go to Amazon.com and search for "barn quilt calendar"
Autographed books are available--Click on the book to order your copy. 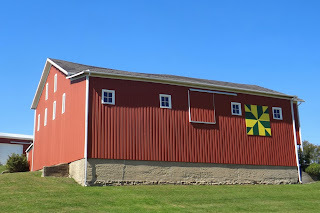 I am now on tour full time, speaking to quilt guilds, historical societies, and anyone else who has an interest in the incredible story of barn quilts. Email suziparron@gmail.com to ask about a date for your organization.